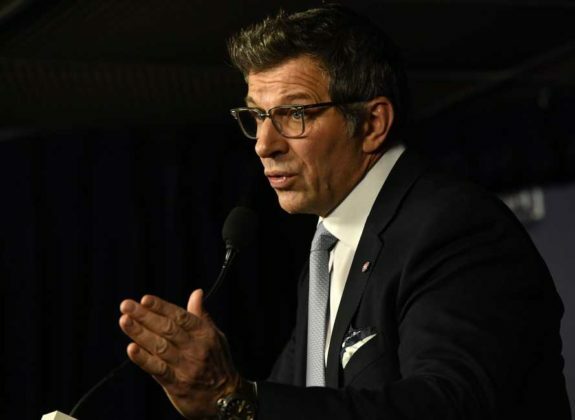 Montreal Canadiens general manager Marc Bergevin has revealed his hand ahead of the 2019 trade deadline. It turns out he was bluffing all along. By going on the record, saying he won’t “give up assets for the short term,” Bergevin’s undeniably made the right decision, even if it isn’t necessarily the right one for himself. After all, he had said first the Canadiens’ goal would be to compete for a playoff spot way back before the season started. In one respect, considering they are one point out of the second wild-card spot entering action Tuesday night, having spent most of the season holding one down, he’s been right. In the process, he’s proven most analysts, including yours truly, wrong. Any self-respecting expert would have looked at Bergevin’s 2018 offseason and come to the same conclusion: While Bergevin made good moves for the future, they weren’t enough to vault a fourth-from-last team like the Habs were last year into playoff contention. Especially not with defenseman Shea Weber out for almost a half-season. 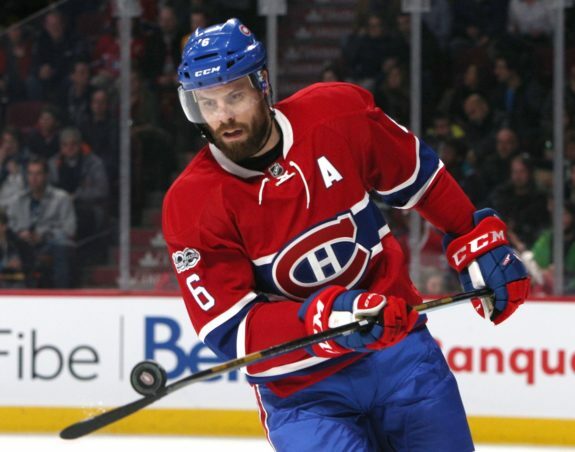 Hence the unavoidable theories Bergevin’s declaration was little more than a pitiful attempt to drum up ticket sales during what was shaping up to be a transitional campaign, one most assumed had been poised to end with yet another lottery pick. 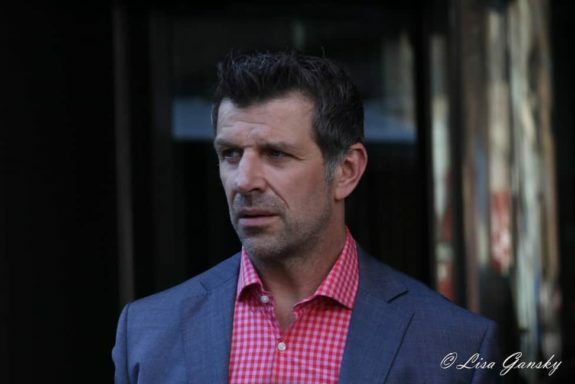 Obviously, assessments such as that one proved to be little more than flawed hot takes ahead of what has turned out to be an exhilarating half-season on the part of Bergevin’s charges. The Canadiens have delivered…. excitement where there had been depression. Goals where before there had been literally a record-amount of shutout losses… and losses in general. For all intents and purposes, this season they’ve been winning with a 22-16-5 record. To be clear, things can still take a nosedive from here on out. The Canadiens are a decent 11-8 since Weber returned back in November. That’s a .579 winning percentage, which in theory should be good enough to get a team in the playoffs. However, the Habs are on the outside looking in with three sets of back-to-back games coming up before the All-Star Game heading into Tuesday night action. Between now and early February, nine of the next 13 games are on the road. Indeed, by the time the trade deadline rolls around on Feb. 25, the Canadiens could be well out of playoff contention. Even though they’re one point out now, each of the three teams ahead of them (Buffalo Sabres, New York Islanders and Boston Bruins) have at least one game in hand. So, that one-point deficit could turn into three very quickly. With the loser point in full effect, that might be enough to prevent the Habs from reaching the playoffs. However, Bergevin is far from throwing in the towel. He’s effectively planning for the future. He (hopefully) recognizes that, excluding the Weber injury, things have gone about as well as they could have, especially out of the starting gates this season. 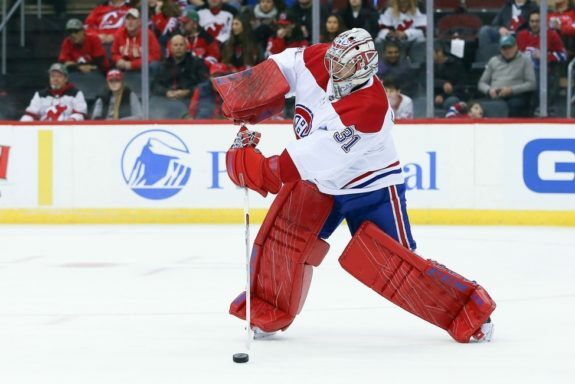 And, as the Canadiens have stumbled offensively recently with four goals in their last three games, goalie Carey Price has returned from injury to post a .955 save percentage. In spite of Price’s relatively commonplace .909 save percentage on the season, he has one of .923 since Nov. 24, a few days before Weber even returned. That’s the same mark he posted in 2016-17 when he was last a Vezina Trophy finalist. So, everything is about as copacetic as humanly possible right now, and yet the Habs still face an uphill battle just to get into a mere wild-card spot and likely face the Stanley Cup-champion Washington Capitals or No. 1-overall Tampa Bay Lightning in the first. That’s not exactly a recipe for long-term success. In fairness, the season’s not over. The Canadiens can still make the playoffs. If they do, so be it. Bergevin will have come through, restoring a large amount of faith in all he says, especially if they are able to accomplish the feat without being aggressive on the trade market, like he’s just promised. However, Bergevin should be conflicted, here. Bergevin’s now acknowledged the goal is to “build for the future,” which kind of runs counter to what he had said last summer. Building for the future has always been the path that’s made the most sense. Now that he’s effectively changed course, faith should be restored in the overall process instead, even if it again brings into question everything we’ve heard him say up to now. How this season ends will go a long way towards determining where he should end up. A third non-playoff finish in four years merits a hypothetical exit interview, even if it would give the Canadiens a better chance to rebuild successfully with a higher draft pick. Standing pat at the trade deadline will help realize such a scenario, even if it hurts Bergevin. It’s true that the Canadiens have competed admirably, but that was never in doubt. They’re professionals and it’s their job. Bergevin’s job is meanwhile to do what’s best for the organization. Leading up to the trade deadline, it seems like he’s (finally) doing his, with the big picture in mind. So, don’t give Bergevin credit for the modest success the Habs have had up to now this season. Give him credit for knowing when to fold. It’s not giving up if he’s playing the long game, though. No one outside of the organization knows if Bergevin will be back next season. There are convincing arguments for each side, though. If he’s got to go, he’ll at least have left his successor a sizable stack to not just play with, but actually make a game of it. It wouldn’t exactly be going out on top, but Bergevin definitely will have come a long way in the right direction towards redeeming himself. That wouldn’t be half bad, especially if the missed opportunity at the jackpot paves the way towards another lottery pick instead.